I recently acquired a lovely copy of this book, published around 1900 by David Nutt. It’s a prose rendering by Miss Jessie Weston. 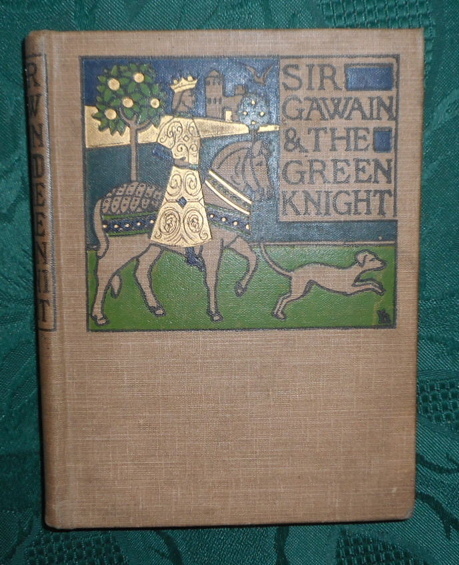 She had previously had a translation of Wolfram’s Parzival published; Sir Gawain and the Green Knight was first of a series of translations entitled Arthurian Romances Unrepresented in Malory’s “Morte d’Arthur”. A very interesting episode, Simon Armitage does mention Tolkien's translation.